Encore L’Amore Events is excited to introduce Barefoot Wedded Bliss. We provide all-inclusive ceremony, elopement and vow renewal services along the scenic coast of the Grand Strand! We offer personalized wedding packages that fit your style. Our unique, customized arbors are one of kind! You can choose from our pre-designed wedding packages and customize it as your own. To learn more, please visit. Knowing how to organize transportation for your wedding is key to how the event plays out. A lot of couples are intimidated by the process! After all, how do you know what will work best for your own unique wedding situation? Here are four of the most common vehicles used for Myrtle Beach wedding transportation and a bit of information about their specific benefits. After reading this guide you should be a lot closer to knowing exactly which route to take with your wedding transportation in Myrtle Beach! Limousines have always been the go-to for wedding transportation. It has only been within the past five or ten years that they've shared center stage with party buses. Limos in Myrtle Beach are perfectly elegant and fit in with the wedding vision of those who want to keep things looking as classy as possible. Limousines have come a long way since the 70's and 80's, as there are a lot of different styles of limo to choose from in this day and age. Here's detailed information on how to rent a limo in Myrtle Beach. Party buses have really risen in popularity, becoming the most commonly reserved vehicle for couples and their wedding party. It makes complete sense, as party buses allow you to stand and move around, and often have more features than other vehicles. This is the best choice for you if you're looking for the most convenient way to get your wedding party around to the different wedding day destinations. Are you going to have many out of town guests at your wedding? Perhaps your ceremony or reception is in a spot that is hard to get to. Either one of these situations calls for a shuttle service for your guests! It really is the most courteous thing to do when people have put aside many resources to attend your wedding, particularly if it required travel on their part. You will have the added peace of knowing your guests got home safely. Exotic cars can be hard to find and reserve because they are often booked well in advance, but they give a certain look that no other vehicle does. They are perfect for extravagant exit photographs! They are usually only big enough to fit two or three people at maximum, but they offer a unique transportation experience for your wedding. Modern uplights can match your décor perfectly. With the magic of LED uplighting and DMX controls, your lights can be fine-tuned to millions of color variations, including the colors you've chosen. A lifeless room typically means a lifeless party. But animated uplighting, with color transitions, chases and strobes, can ignite the entire room, and drive your guests to the dance floor for non-stop dancing. Venue uplighting vs. DJ uplighting. If your wedding venue offers uplights, they typically are set to one of a handful of pre-programmed colors; and that's how they stay -- all night -- even when your guests dance. Static, non-moving light can actually drain the energy from your dance floor. A lighting company can set up single-color lights, or even program them for a single pattern when dancing starts. But a DJ who provides his own uplighting can actually run the lighting effects, so they change colors and patterns, and change to match the speed and energy of each new song. It's worth the extra money to let your DJ provide your lighting. Uplighting for outdoor events. If you're having an outdoor wedding with dinner and dancing in a plain white tent, you desperately need uplighting! There is nothing more sterile than a pure white room -- an empty slate. Adding lighting changes everything! Suddenly, your space is alive with color; and most uplights can be aimed toward the middle of the ceiling, to make the entire space come to life. Your name in lights. Adding monogram lighting with your names or initials can really put your individual stamp on your special day. Today's monograms can be cut from metal plates with a virtually infinite combination of artwork, fonts and messages. For a little more money, a special glass monogram can include a picture of the two of you; and it can be colored to match your room. Your monogram light can be projected onto a wall, or onto your dance floor. When you DON'T need lighting. If you're having a daytime wedding outdoors, or in a room surrounded by windows, you don't need lighting. If you're having a summer wedding with a 9pm sunset, and your wedding reception ends at 10pm, you won't get much bang for your buck from a light show. If your wedding is held at the top of a skyscraper like the John Hancock Center or the Sears/Willis Tower, you already have the world's best light show outside your windows. If your party room has fluorescent lighting that's either on or off, and can't be dimmed, you're out of luck. The room lights will have to stay on all night, and a light show would be a waste of money. Finally, if your party room has dark walls, you won't get the full benefit of a light show; lighting is better with white or light-colored walls. Your wedding guests' most lasting memories of your reception will be their first impression upon entering your dining room, and the fun they had on the dance floor. Elegant uplighting makes a great first impression, and turns your dance floor into a virtual explosion of color, sound and motion. You'll know it was worth the money when all of your guests rave to you about what a great time they had. Being the center of attention on the day means that everyone is looking at you, but you cannot possibly be looking at everyone else. A videographer can capture the emotions and the body language of your guests at pivotal moments of your ceremony and yes, even the shenanigans that your guests may get up to during the reception. You will also see things like your bridesmaids and flower girls walking down the aisle, something you would have been hidden away for, and people tearing it up on the dancefloor while you are sitting in the corner talking to Uncle Bob and Aunty Stacey who have flown over from out of state. Every detail from the shimmering tear trickling down your fiance’s face and the sharp intake of breath as they see you for the first time at the end of the aisle, to the musical sound of your laughter as your new spouse smooshes cake into your face. It will all be there. Videography has long evolved from camcorder status to impressive cinematography. Professionals are dedicated to capturing every element of your wedding day to give you a way to relive one of the happiest days of your life, for the rest of your life. We start from scratch with every video to ensure that you receive a fully custom and unique record of your wedding daySimply select the footage most important to you and our talented video editors will custom edit to your vision. People often ask: is a DJ an artist? This is a difficult question. Sure, there is a certain skill involved in DJ'ing, but does that make the DJ an artist? There is skill involved in driving a car but no-one would call driving an art-form. Is the same true of DJ'ing? I believe that DJ'ing is a form of art. The purpose of this short piece is to explain my reasons for holding this belief. My goal is to convince the skeptics that DJs should be put into a similar category with other artists. Musicians, composers, painters, and photographers are all artists that have learned a skill. They use their skill to bring about emotion in other people. They do this by either creating something new, or by capturing a unique scene or moment in time, and then making the result available to an audience. DJs are the same. They use their skill to create mixsets, and in doing so they are capturing something unique which can be made available to an audience. To strengthen my point, I will draw an analogy between a photographer and DJ. I believe that if photography is a form of art, then so is DJ'ing. So, what does a DJ actually do? At its most basic level a DJ selects a range of musical pieces and plays them to an audience. The primary goal is to make people dance. But is this art? Surely an iPod on random shuffle can do this. We wouldn't want to call an iPod artistic--especially if it is random. Of course, this is a naive view. An iPod on random shuffle cannot keep people dancing. Occasionally it might play an agreeable song, which some people will dance to. But that is just blind chance. Its pure luck. An iPod is not an artist. So what does a DJ do that an ipod does not do? There are two important aspects to DJ'ing. First, there is the process of mixing. Second is song selection. A good DJ will blend songs together in order to create a suite of music in which the audience is unaware of the transitions between tracks. Not only does this keep a dance floor energy on a constant flow, it can also sound very good when elements between two songs interact. Mixing is a technical skill that many people can learn. It is important, because it gels the music together, but ultimately it is a mechanical process and therefore not artistic in itself. The most fundamental aspect of DJing is song selection. A DJ selects a range of tracks that mix nicely together in order to create a "mixset" (sometimes simply referred to as a mix). When a DJ does his job well, not only will the set be seemless, it will also take people on a musical journey which is almost symphonic in structure. The set will start in a certain place and take people through highs and lows, light and shade, through major and minor keys. This is not done randomly. It is done by carefully considering the mood of the people on the dance floor while also considering which songs mix well together. DJ sets often build up to a peak in energy before gradually coming back to the same level at which they started. Other DJ sets can start off subtle and continue to build people up, increasing the energy and excitement to a crescendo before rapidly dropping back down. Sometimes a DJ will end his set at the crescendo. The important feature of the DJ mixset is the journey that it takes its audience on. And it doesn't have to be live. A DJ can mix a set on radio or in a studio which will take its audience on just as powerful a journey--though this is more difficult because most mixsets are constructed in reaction to the audience. Well, it is art insofar as the mixset is a unique suite of music, which can be considered as a complete unit. It is built out of a range of separate tracks that the DJ has consciously chosen to include in the greater whole. It is not a random selection. The DJ has chosen the tracks for a reason--to generate emotions and feelings. Furthermore, this is not something that anyone can do. DJs are like music filters. There are thousands of tracks released every year, and the DJ has to filter through them and decide what is good, and what is not good. The DJ has to decide what to put into his set for people to hear. But is this art or just musical taste? It is art in the same way that photography is art. Consider a photographer. She will go in search of scenes that she believes have certain qualities. Often the scene a photographer finds can look quite ordinary to other people. In fact, many people might walk by without noticing. The photographer sees something unique and beautiful in the scene and uses her technical skill with the camera to bring out its best qualities. The resulting picture is then made available to an audience. The same is true for a DJ. The DJ finds music that he considers to have certain qualities. The DJ then uses his technical skill to blend his chosen music together in a way which brings out the true beauty of the individual pieces. In this way the DJ is like a photographer. If a photographer is an artist, then so is the DJ. My goal in this article has been to show that a DJ is an artist, and the mixsets he produces are a form of art. There is more to DJ'ing than the mechanical act of mixing. Good DJ mixes do not consist of random song choices. There is an artistic process at work. Just as a photographer picks scenes that already exist and packages them in a way that makes them appealing to an audience. A DJ picks music that already exists and packages it in a way that makes it appealing to an audience. A mixset is a piece of art. You do, however, want to choose a song that best reflects the relationship that you have with your dad, as well as one that compliments both your personalities. Perhaps you and your dad have a special song from your childhood or maybe there’s a specific genre of music that you both love and always have bonded over. You can’t go wrong with keeping it classic and sentimental. Choosing a song from the oldies genre typically is a safe bet; most of the songs from these eras are crowd pleasers and easy to dance to. Planning your Myrtle Beach wedding is much like putting together the pieces of an extremely complicated puzzle. While it might be intimidating in the beginning stages, you'll find that the overall picture becomes much clearer as you progress through the stages. Planning an event of this stature isn't something that should be taken lightly, and this is why pressure builds as the day gets closer. While there are numerous wedding vendors to research and reach out to, transportation is among of the first details you should plan on settling along with the venue. We're here with some tips on how to ensure your wedding transportation is all you need it to be, and more! The most telling thing you can do when it comes to sifting the good from the bad in transportation services is to try scheduling an in person visit with the potential companies you're looking at. We've all heard horror stories of unsightly vehicles showing up to the pick up destination, damaged and unclean interiors making an impact on comfort levels, or in the worst case...no vehicle showing up at all. 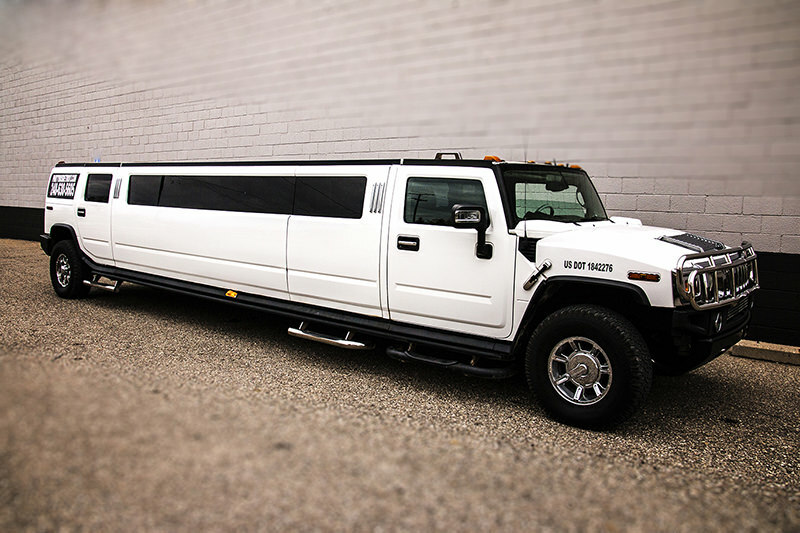 Talking to companies in person and viewing their unique vehicle selection will do wonders in putting you ahead of the game as far as wedding transportation is concerned. When you're visiting a garage or office of a local transportation company, be sure to inquire about the details of their contract. This is important because it gives both parties a clear understanding of what is expected, and is a point of reference if any questions arise in the future. You'll want to be sure you understand the terms of damages and any other extra fees that might appear such as tip or gas to ensure a completely smooth transition from your ceremony to reception. Keeping these tips in mind will surely lead you to the most transparent and trustworthy Myrtle Beach Party Buses. Not only will your wedding run more smoothly, but you'll also be as comfortable as possible throughout one of the most important days of your life.